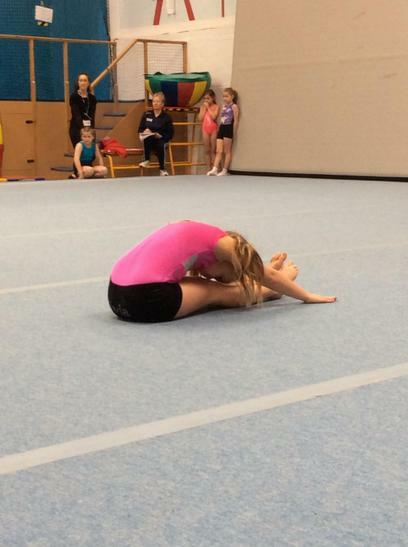 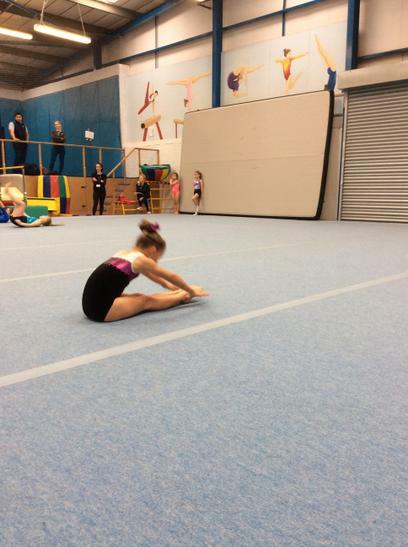 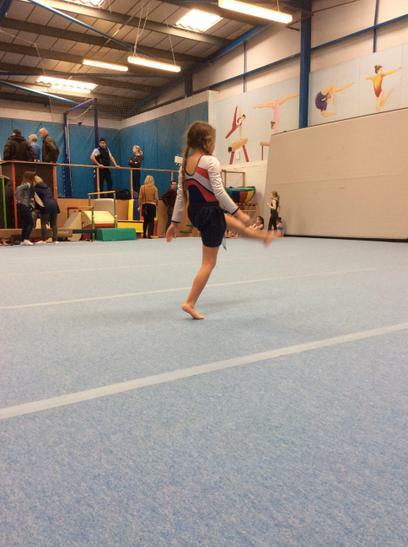 Year 3 and 4 took part in the NSSPEA Gymnastics event on Monday 11th February. 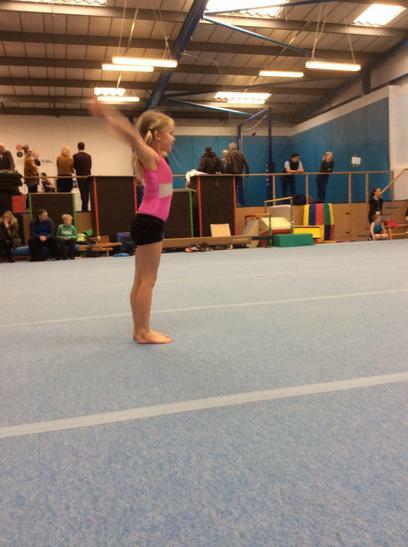 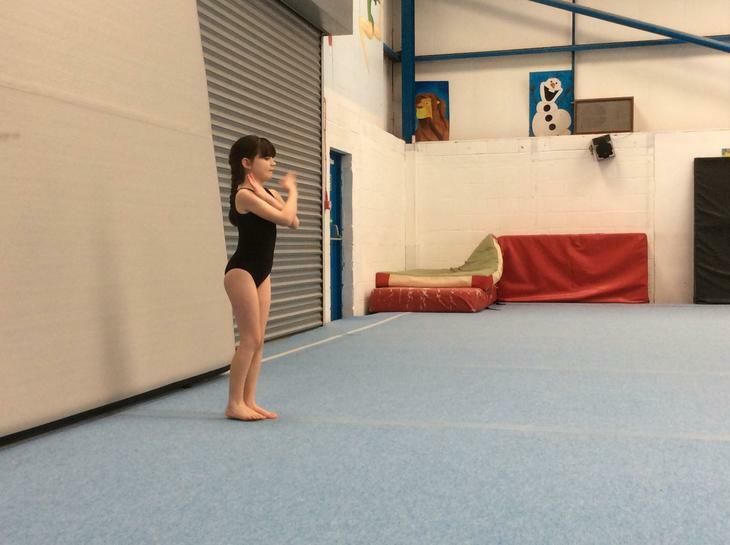 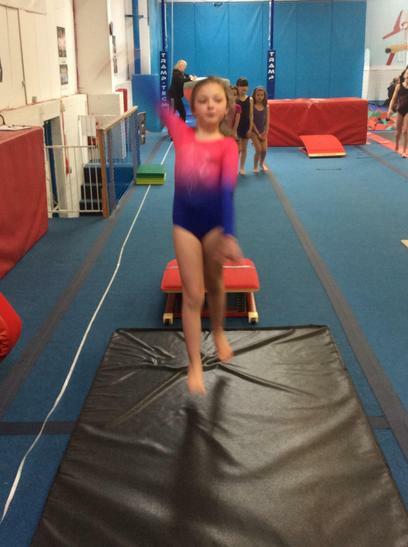 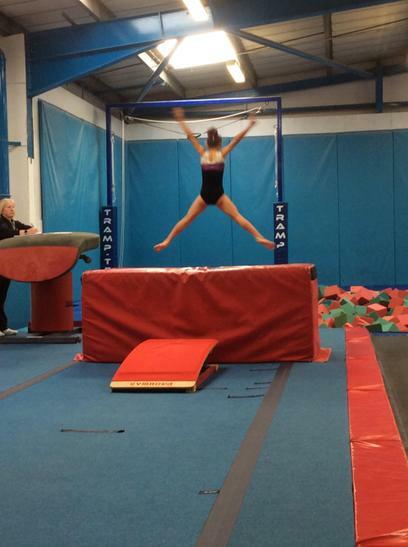 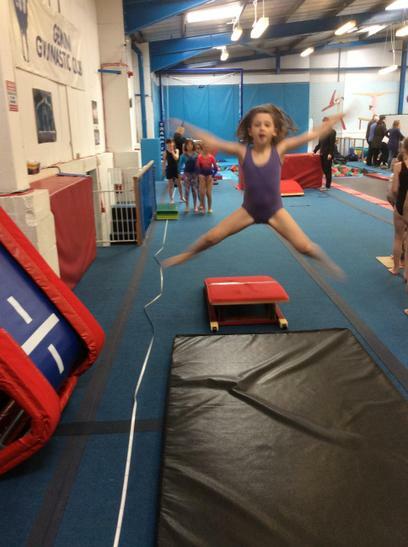 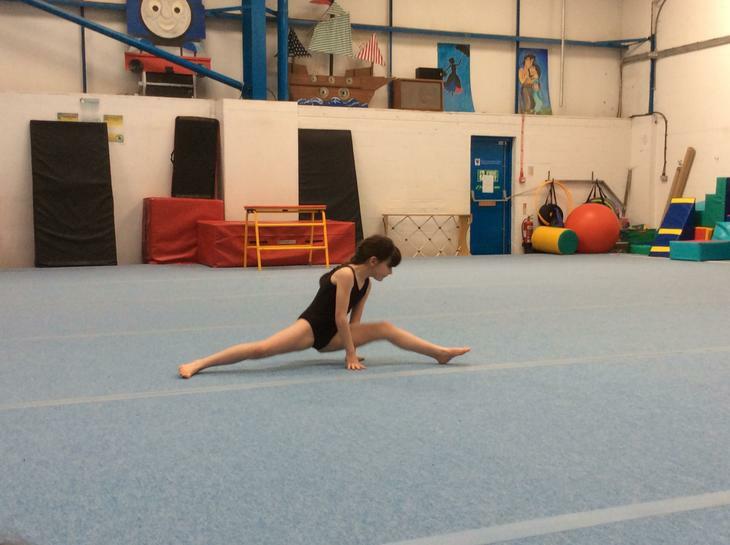 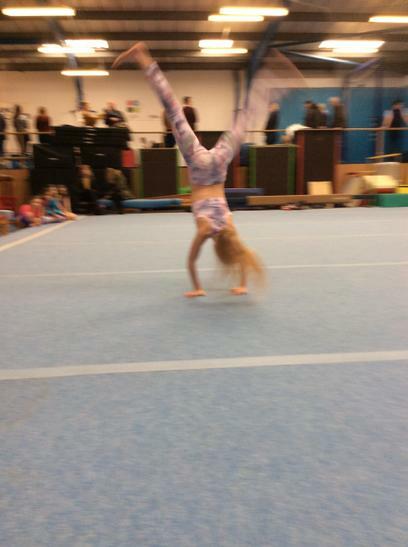 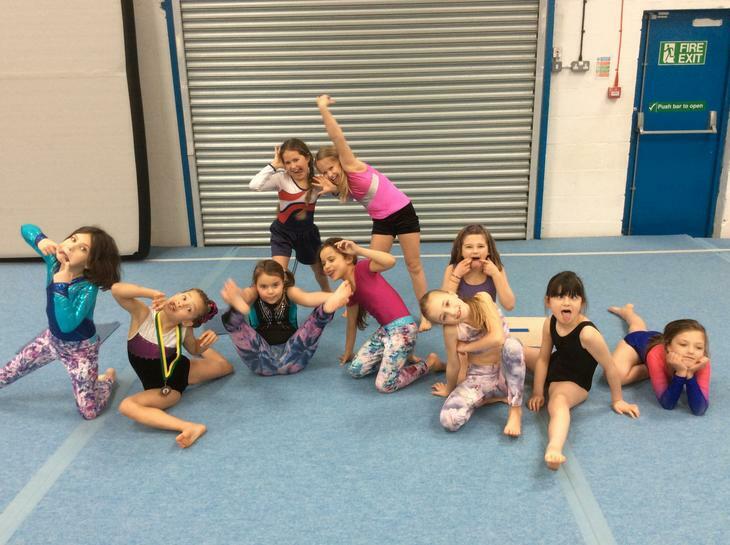 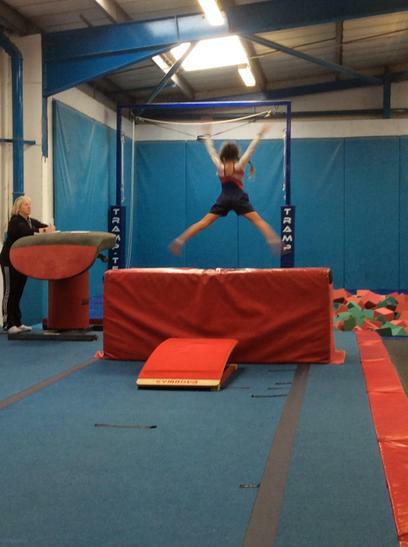 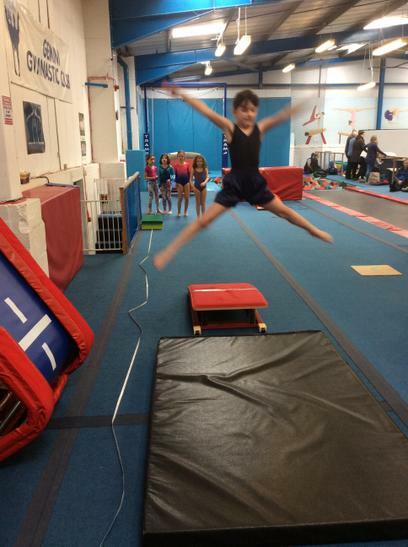 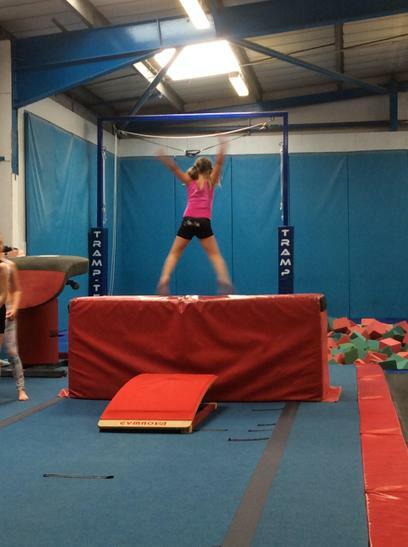 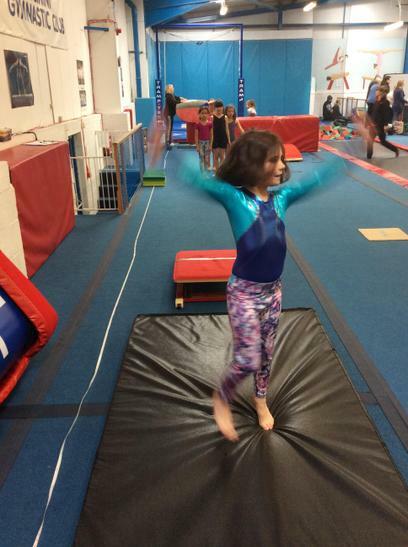 All the children had to practise either a level 1 floor and vault routine or a level 2 floor and vault routine. 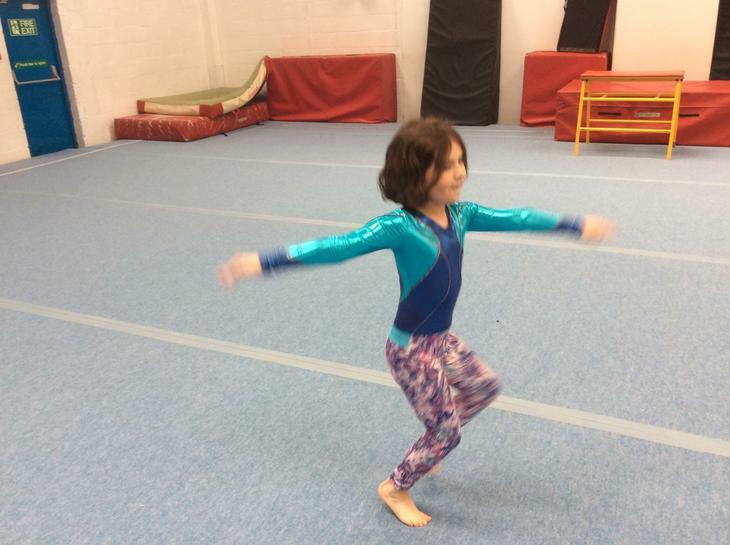 There was some very complicated moves such as cartwheels and rock and roll to pike sit. 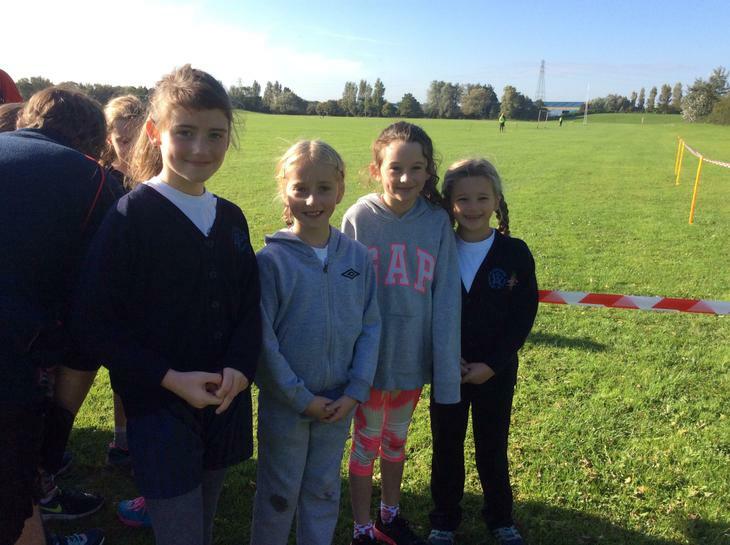 All the team behaved remarkably and were very encouraging of their team mates during the event. 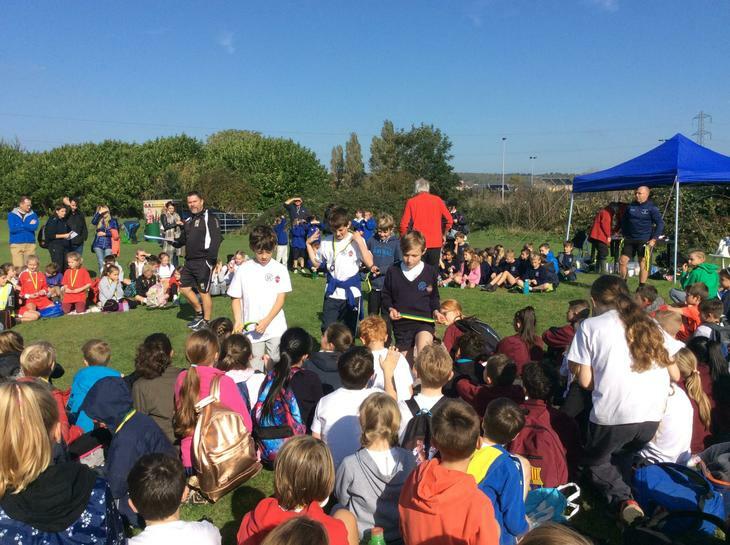 It was the largest event with 23 different entrants from all over North Somerset. 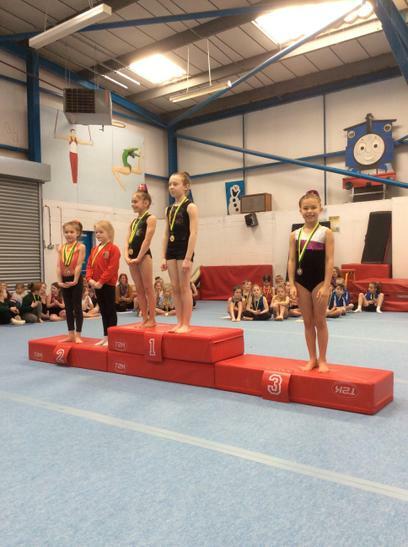 A massive congratulations to all who participated and a special mention to Lucia, who managed to place bronze and had a medal presented on the podium! 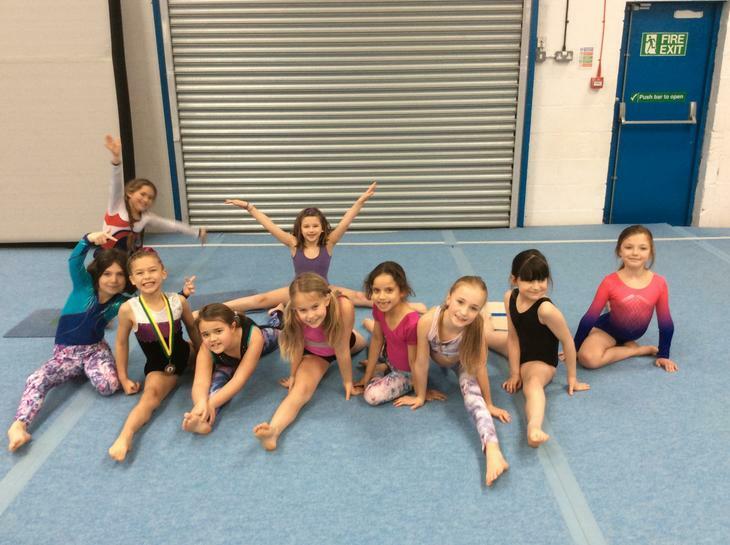 😊 BRILLIANT WORK GIRLS- what superstars you were! 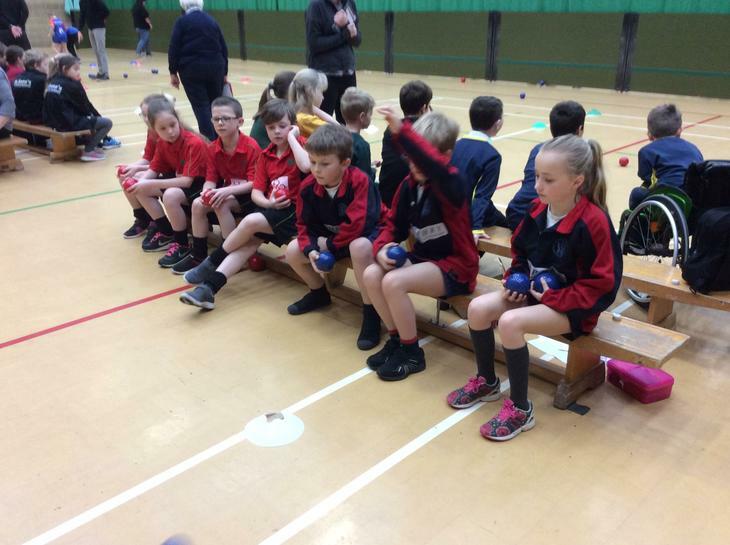 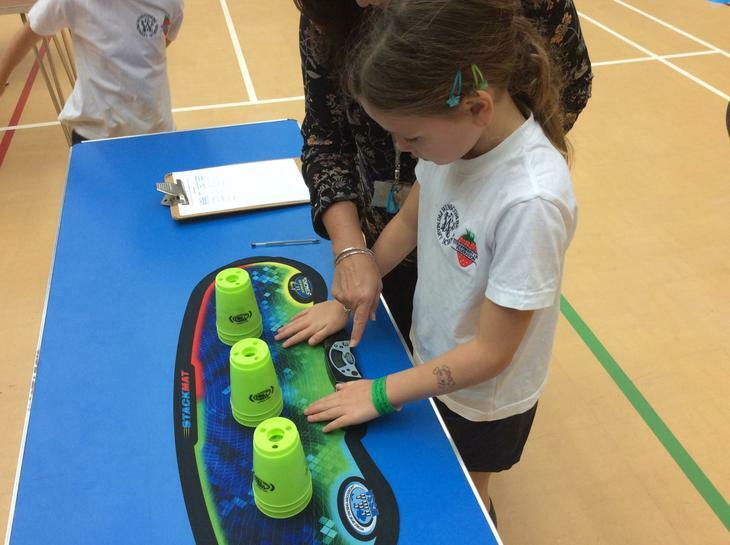 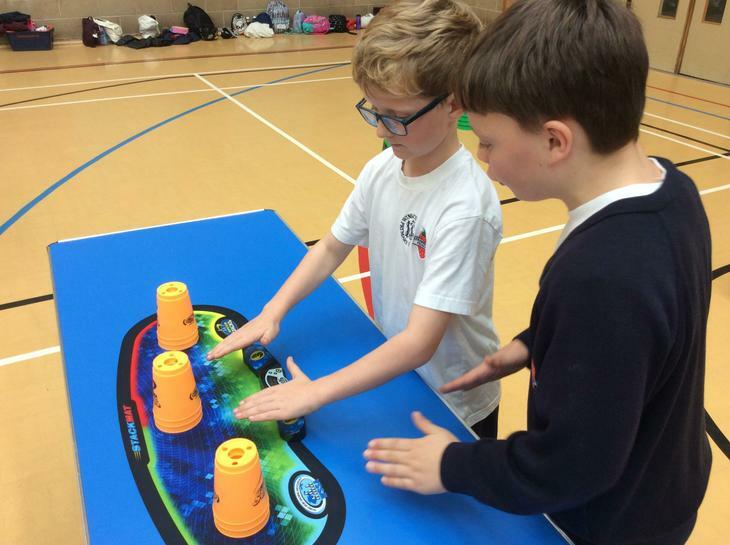 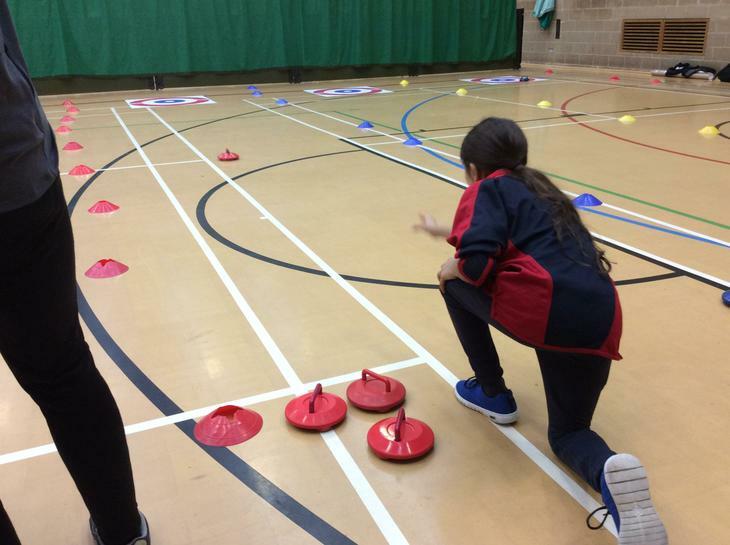 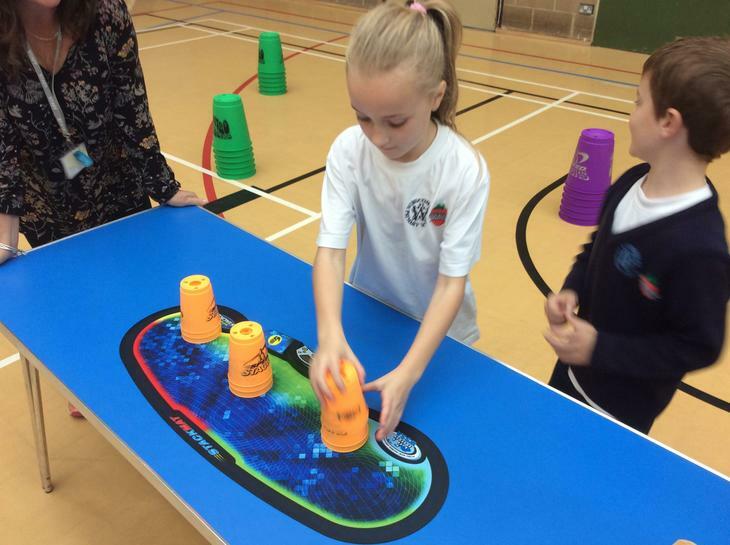 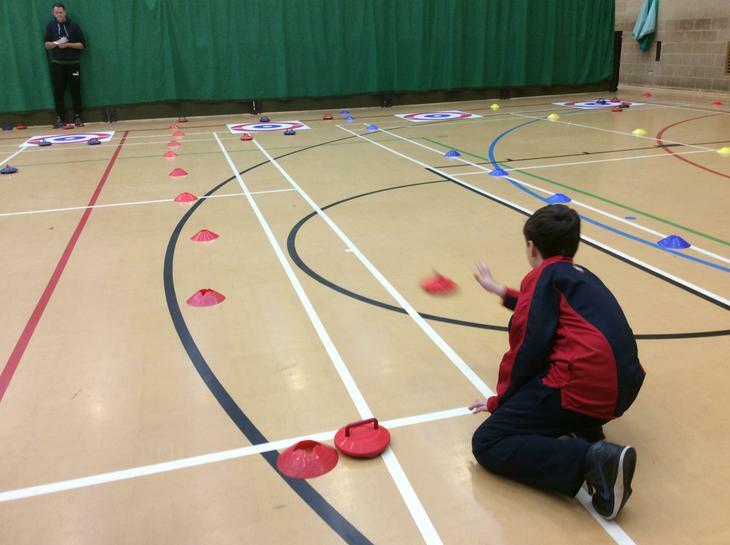 Years 4,5 and 6 participated in the NSSPEA Kurling Festival on Monday 3rd December at Hutton Moor Leisure Centre. 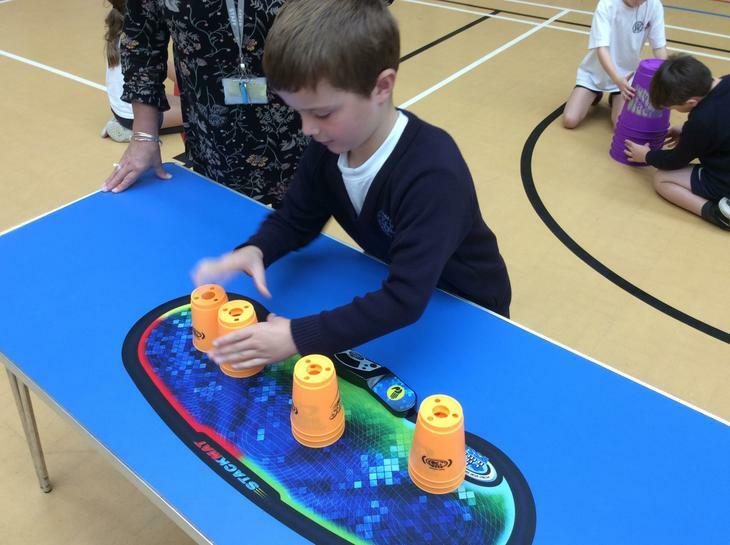 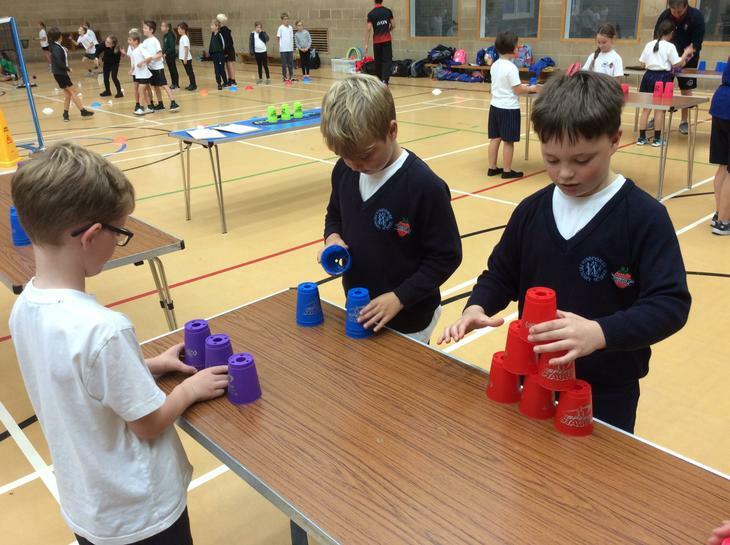 The children took part in the competitive and inclusive event and had to work together to reach as close to the targets as possible. 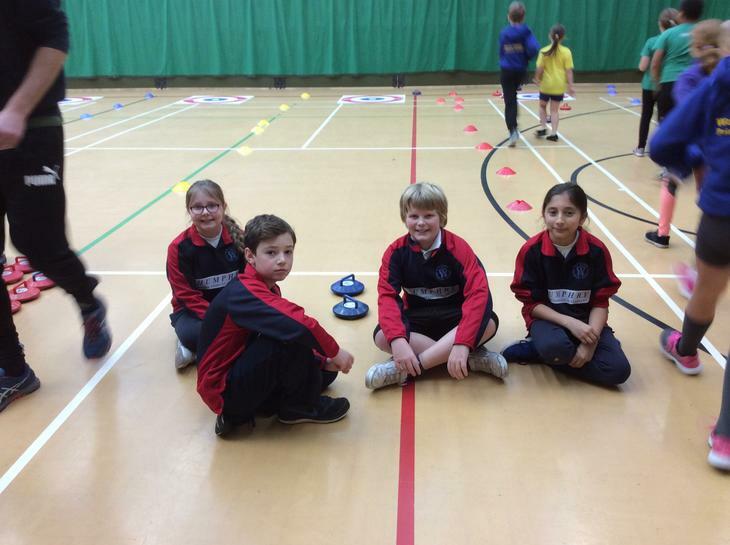 The children had a great time and have a newfound passion for Kurling. 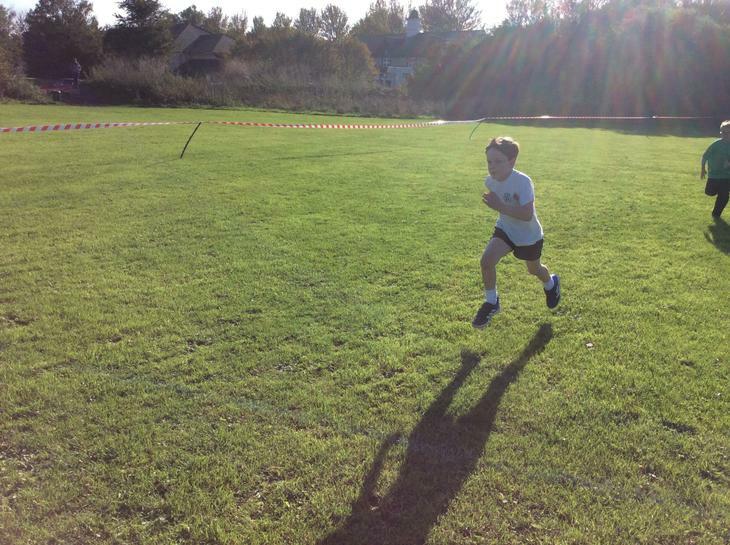 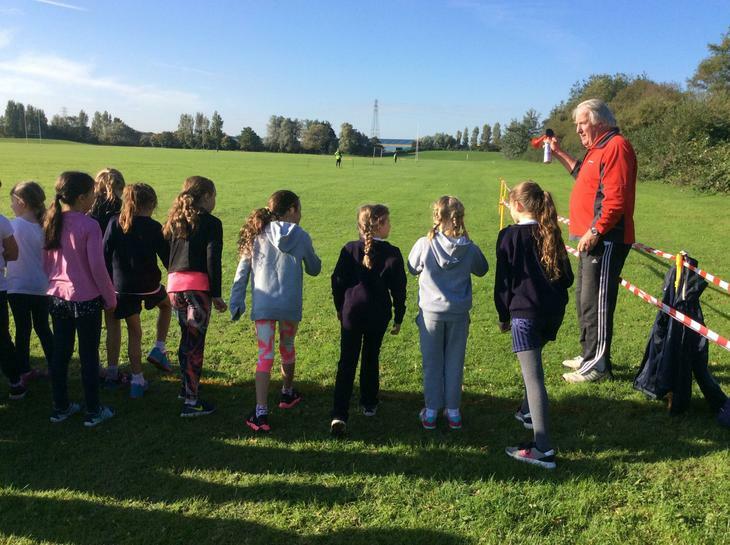 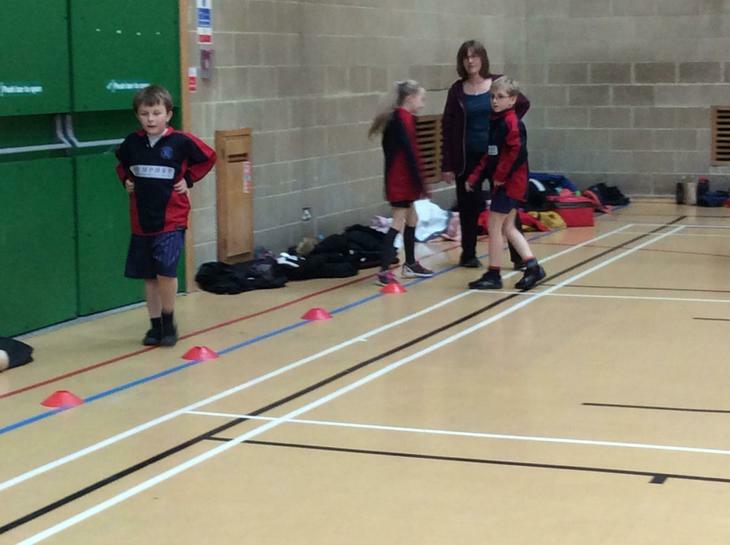 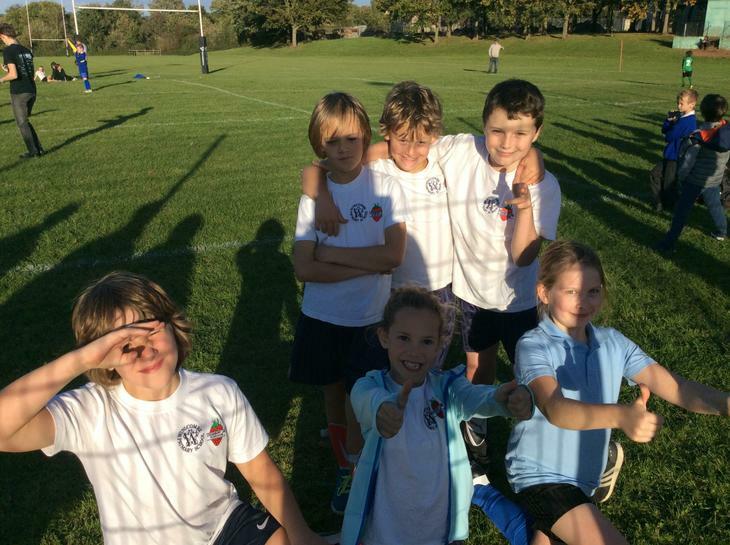 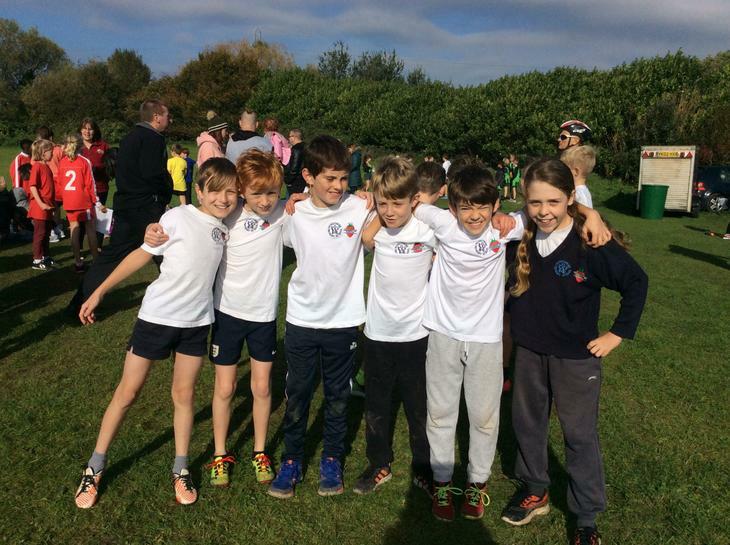 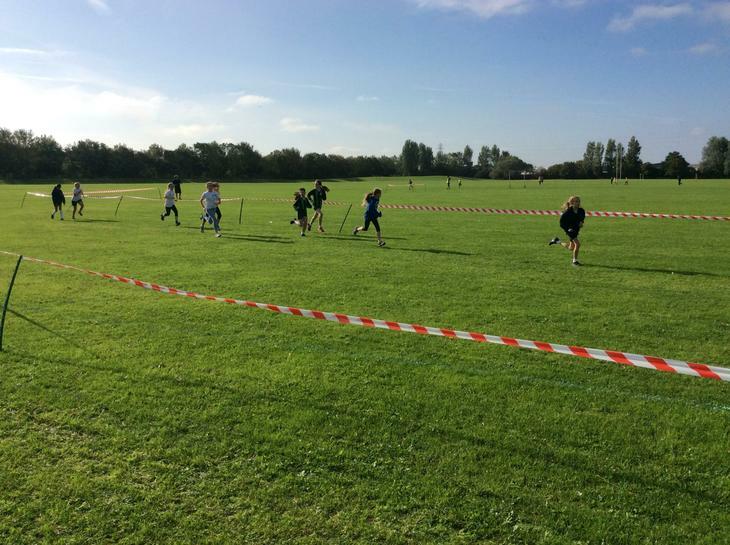 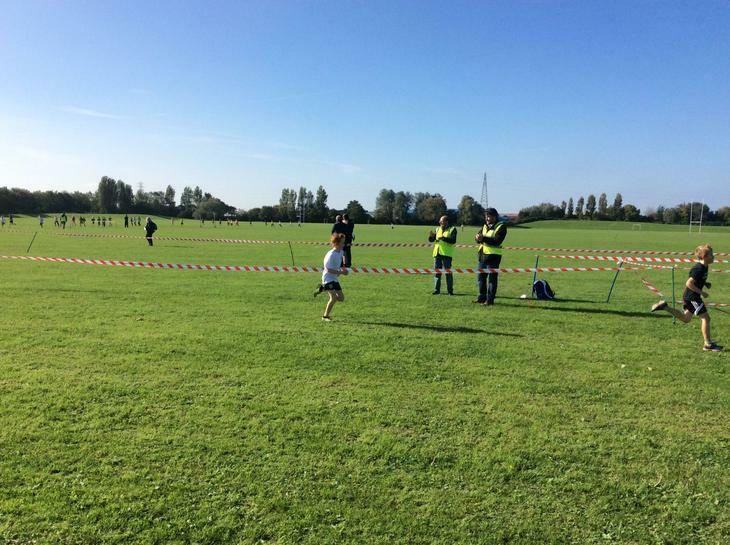 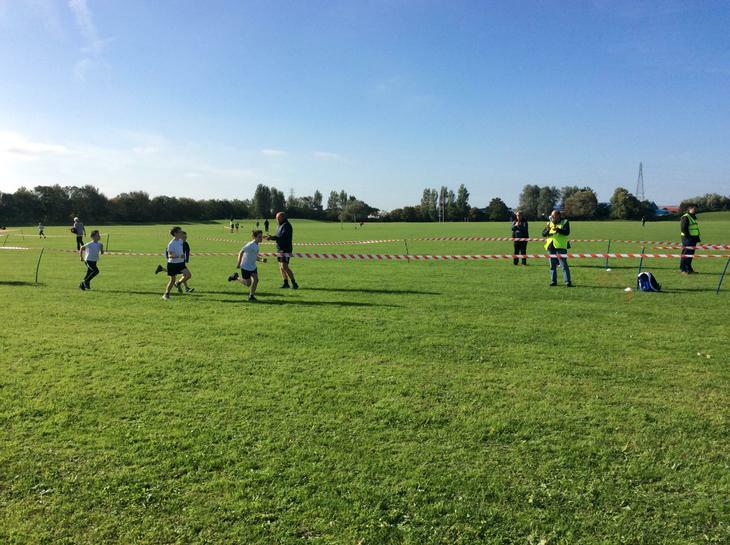 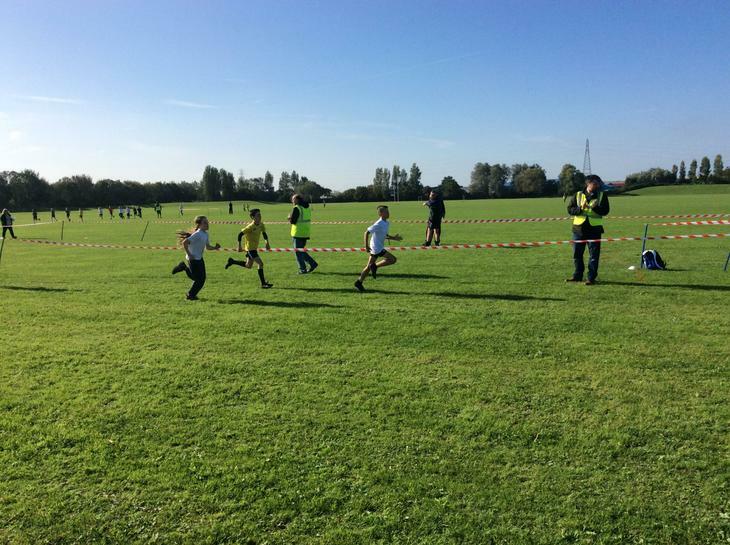 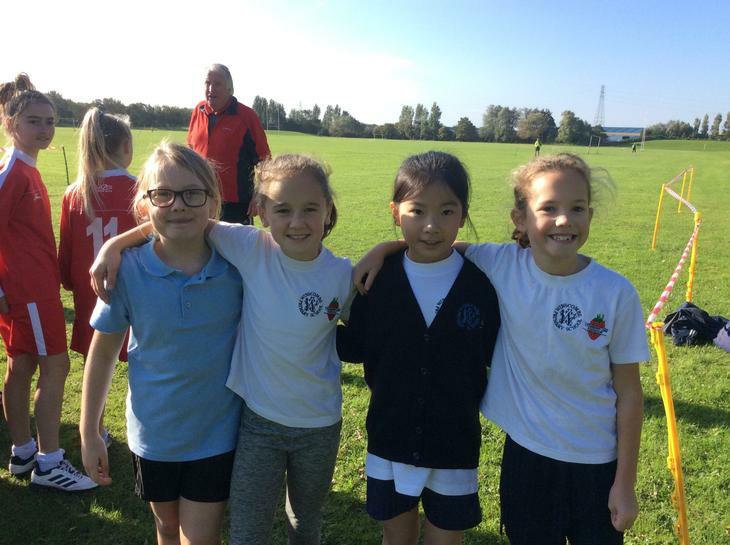 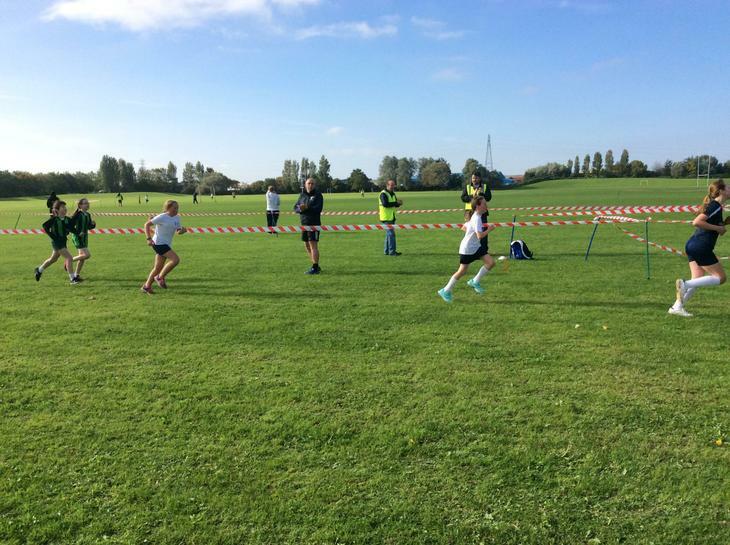 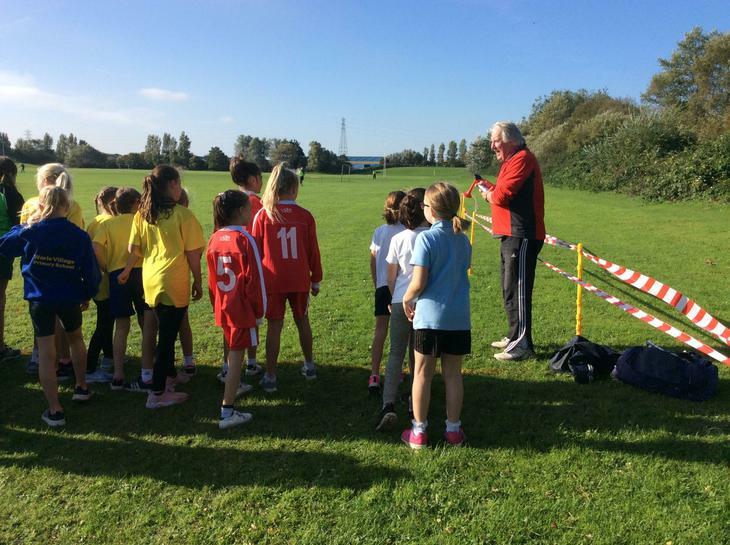 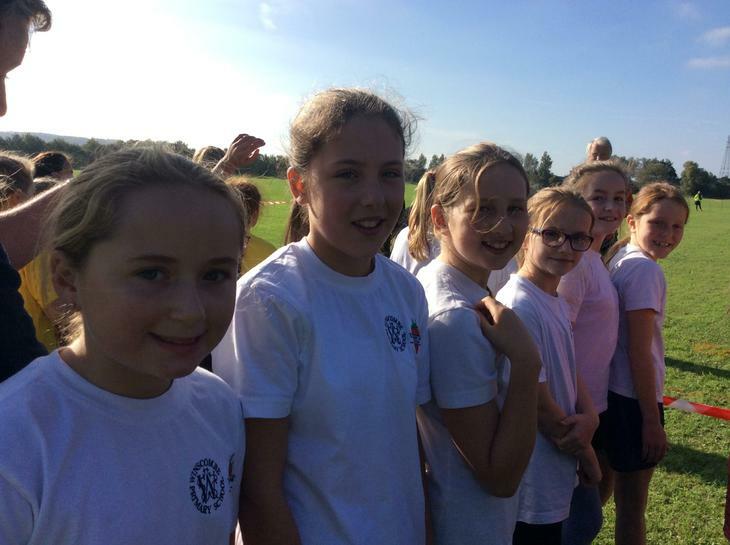 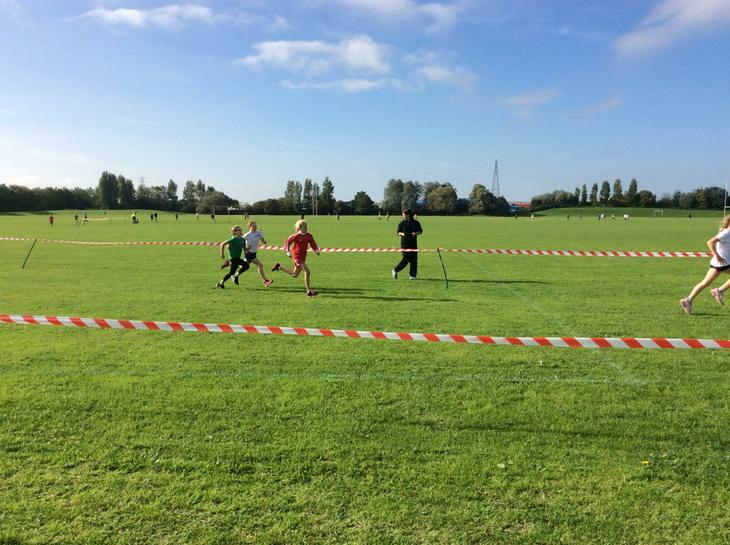 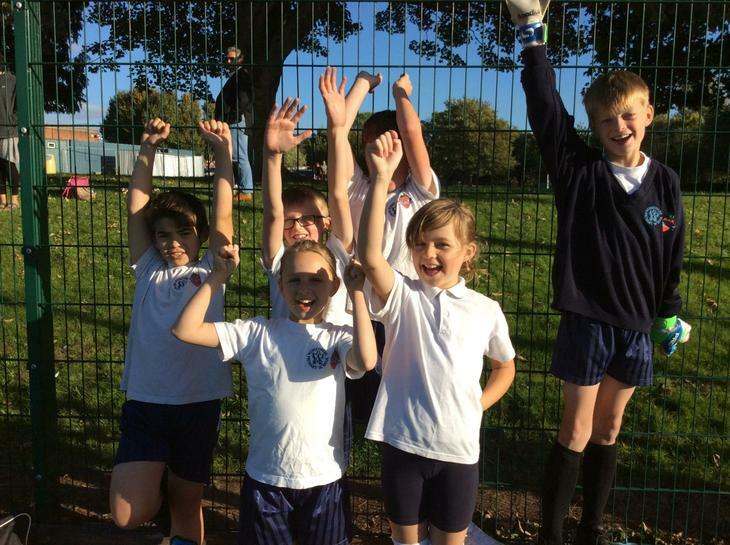 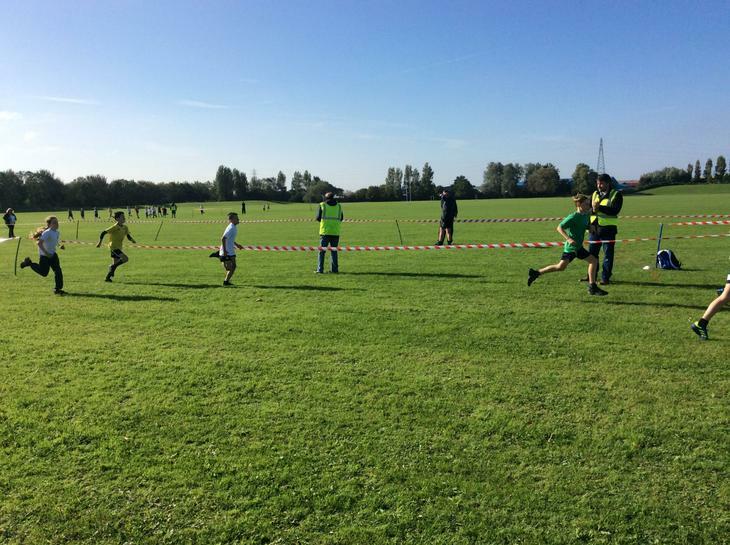 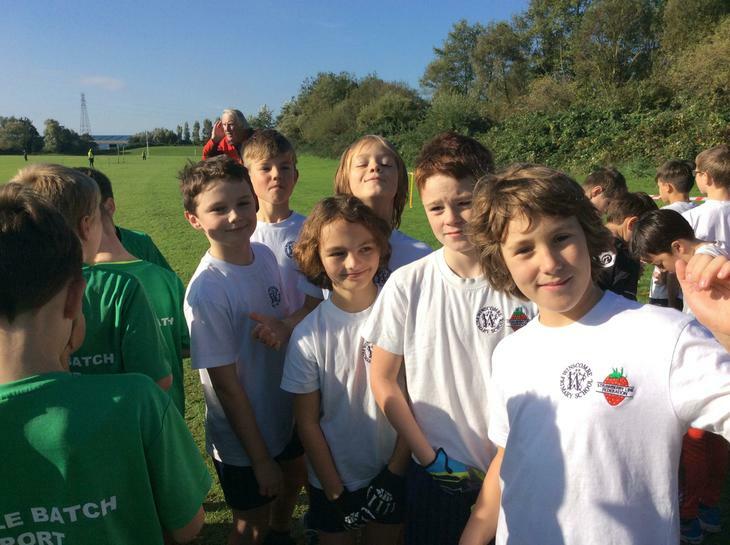 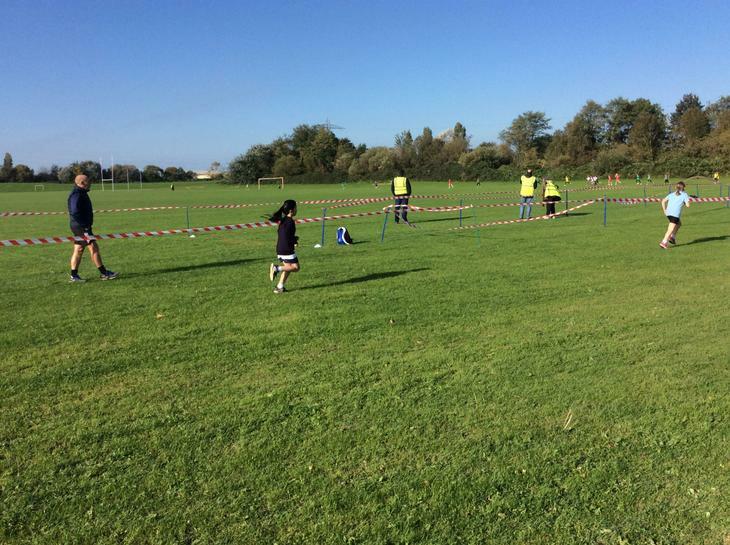 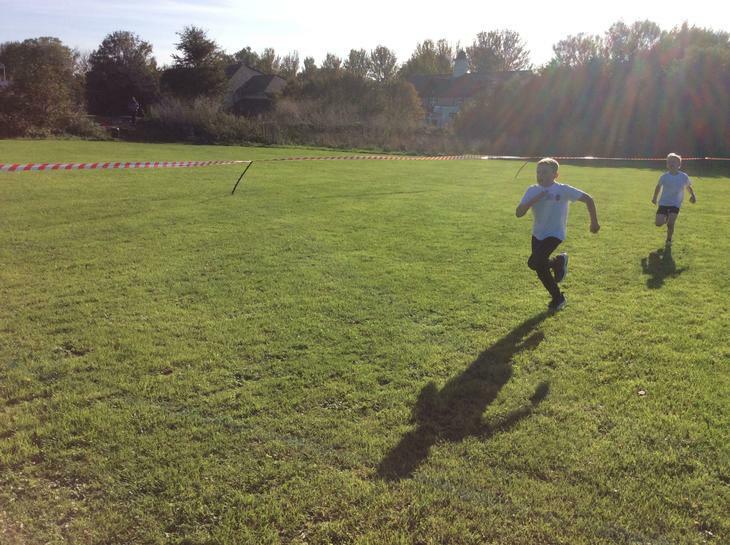 KS2 took part in the Cross Country event at Hutton Moor Leisure Centre in Weston Super Mare. 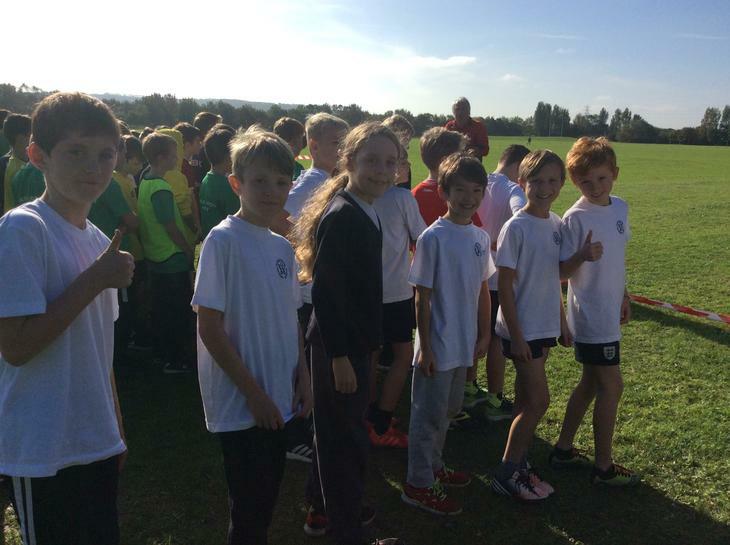 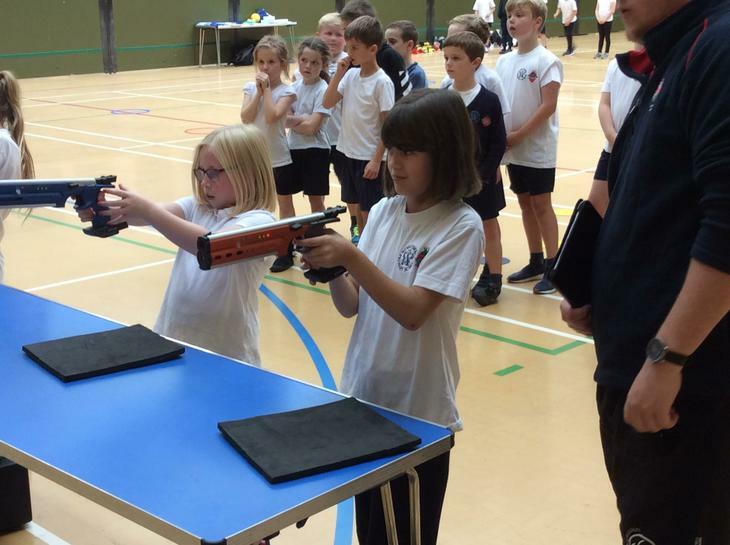 The team included 30 children from Year 4 all the way through to Year 6. 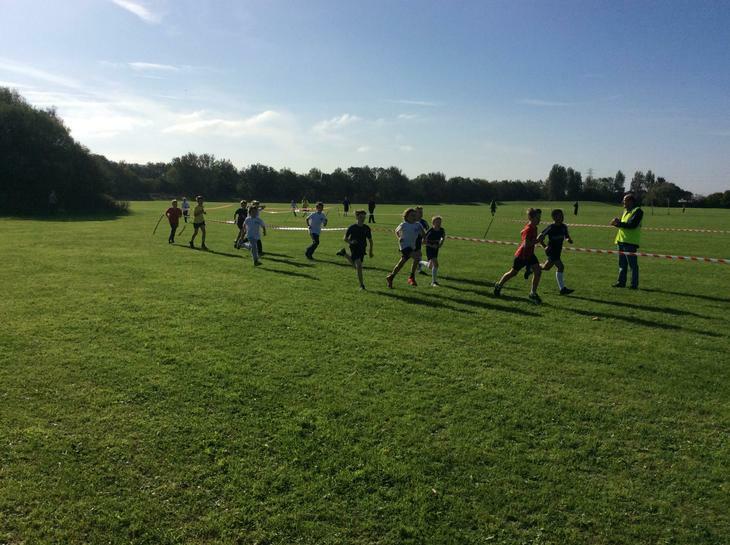 Fortunately, the weather was great for the event in the morning and the children greatly enjoyed themselves. 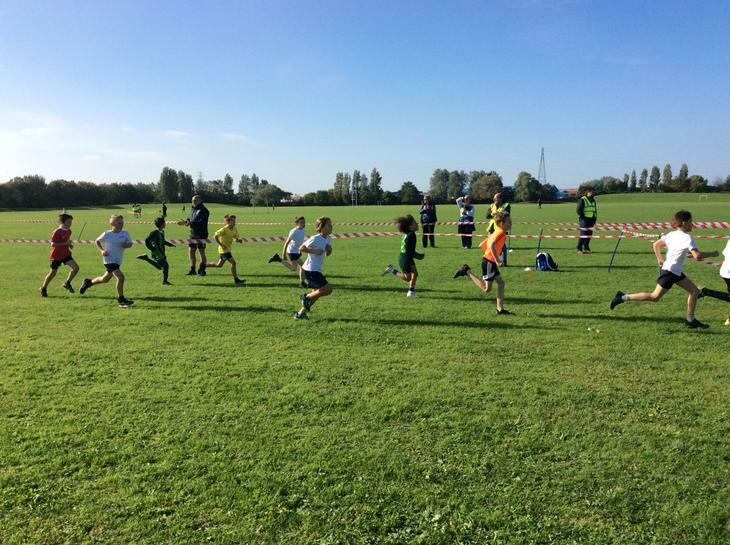 All should be proud of their achievements and a special mention to Seb Leaney who won the Year 6 boys event. 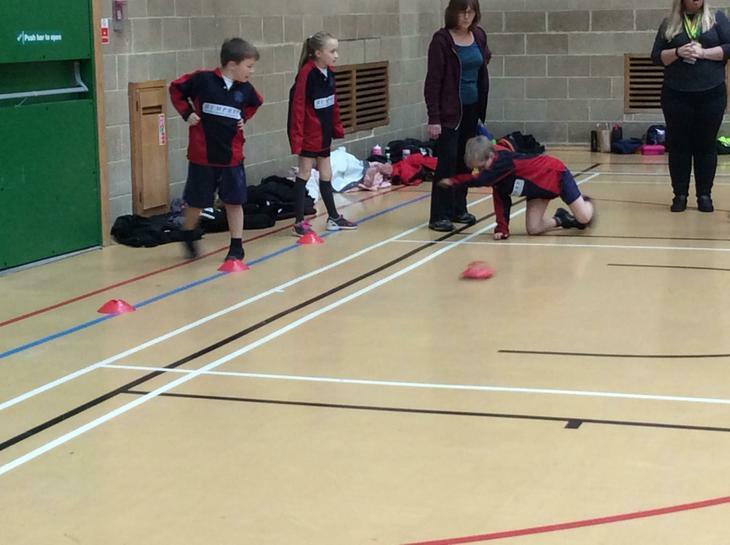 Very well done Winscombe!! 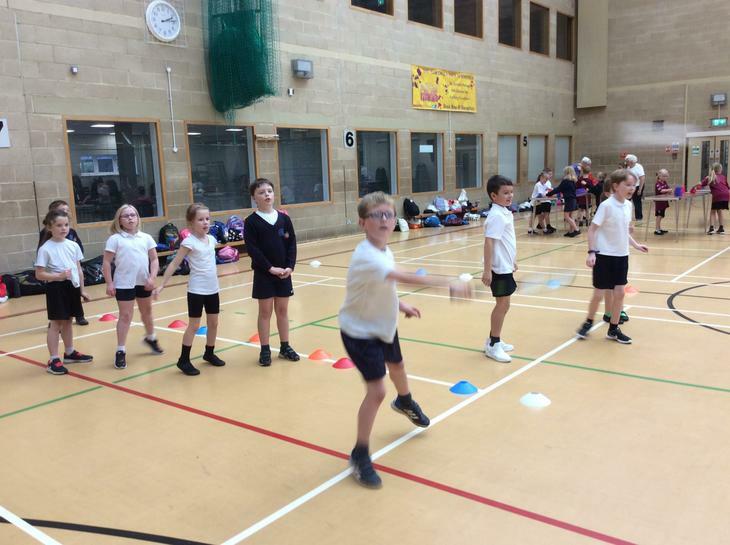 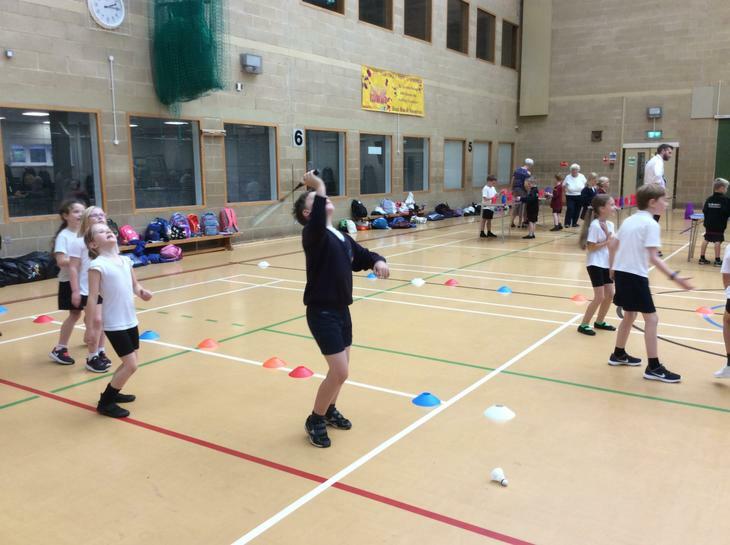 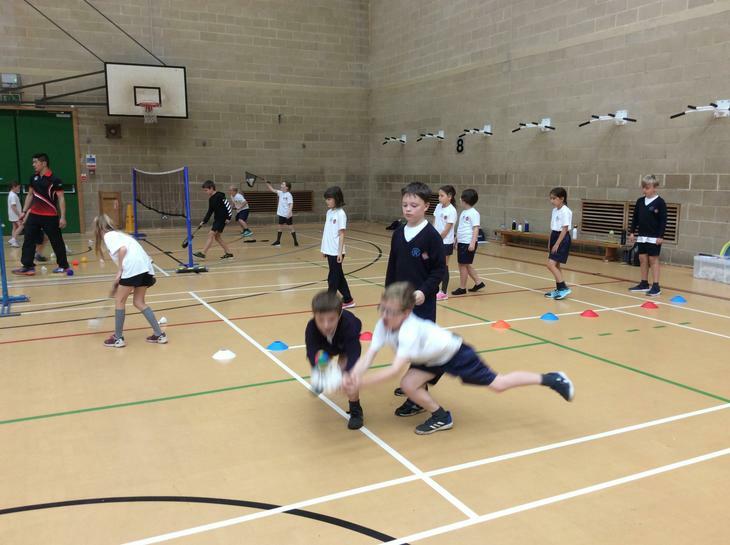 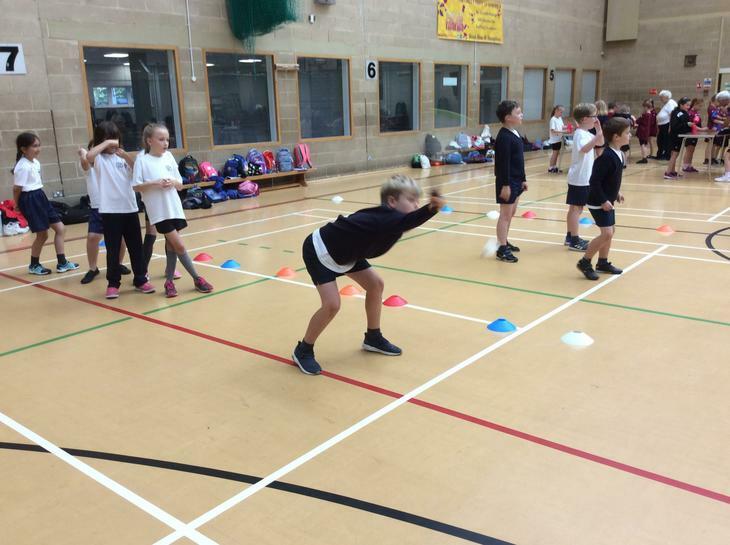 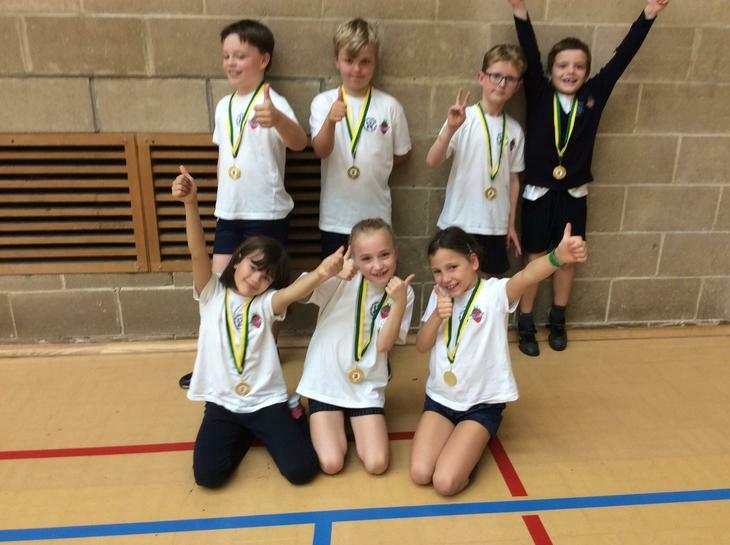 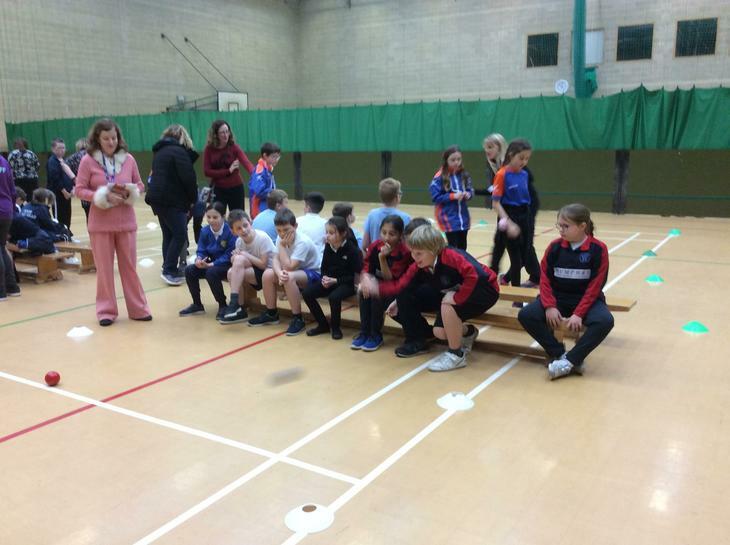 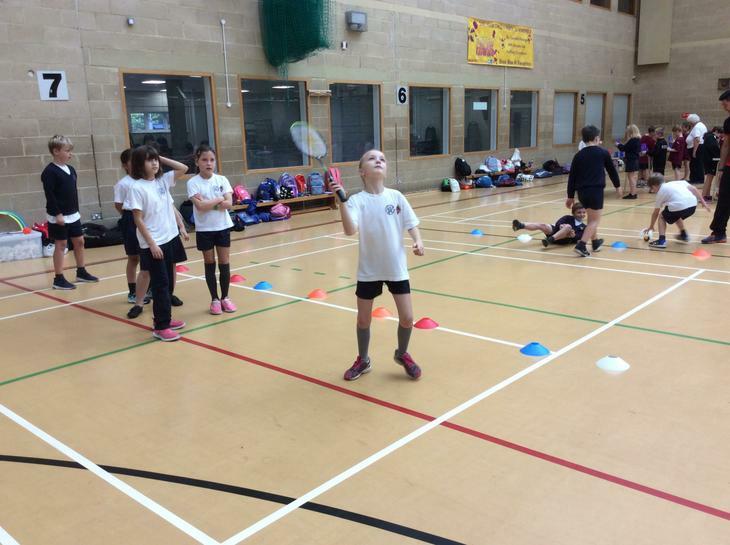 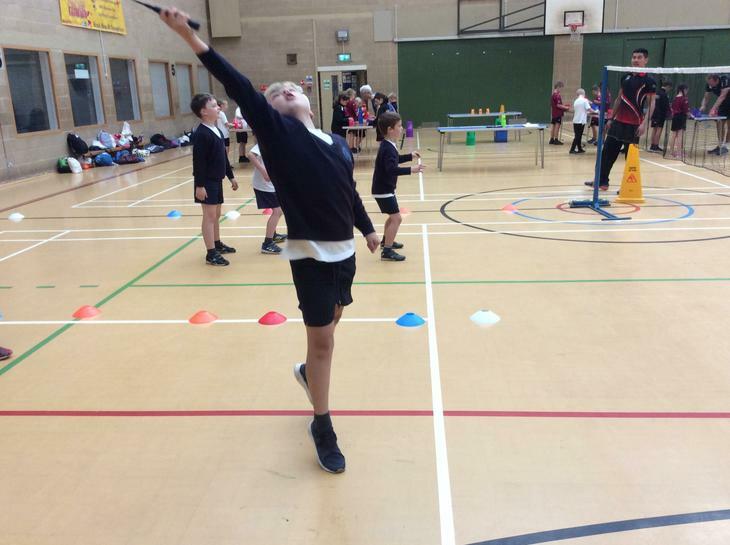 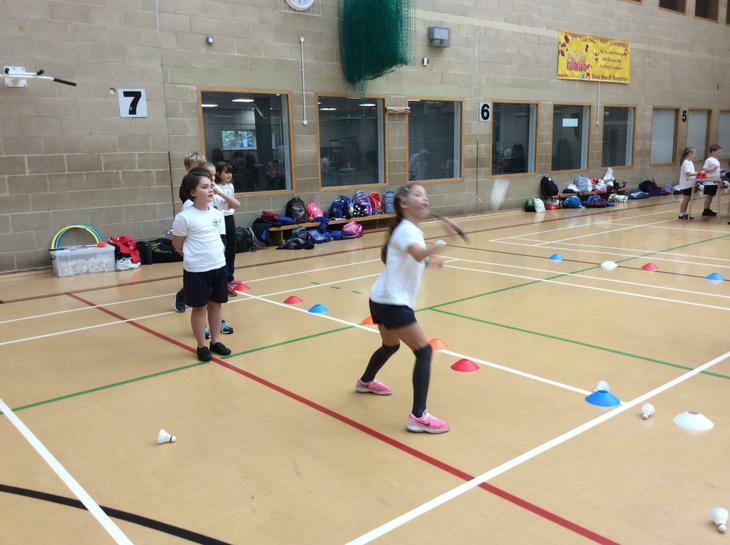 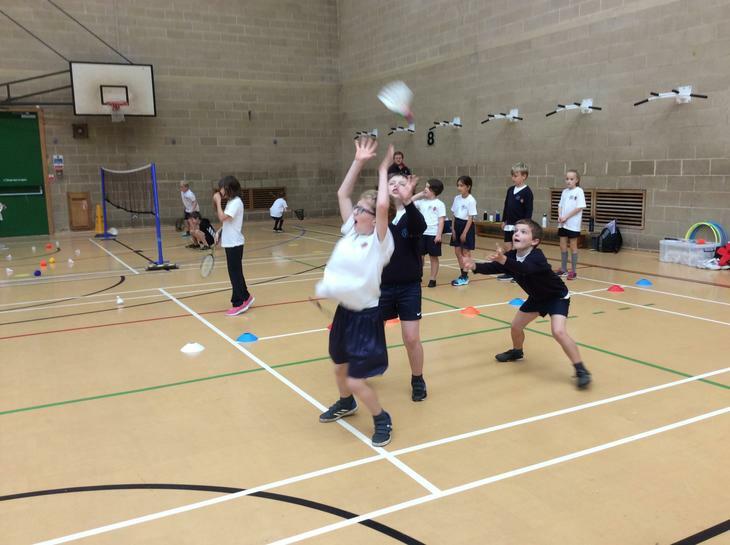 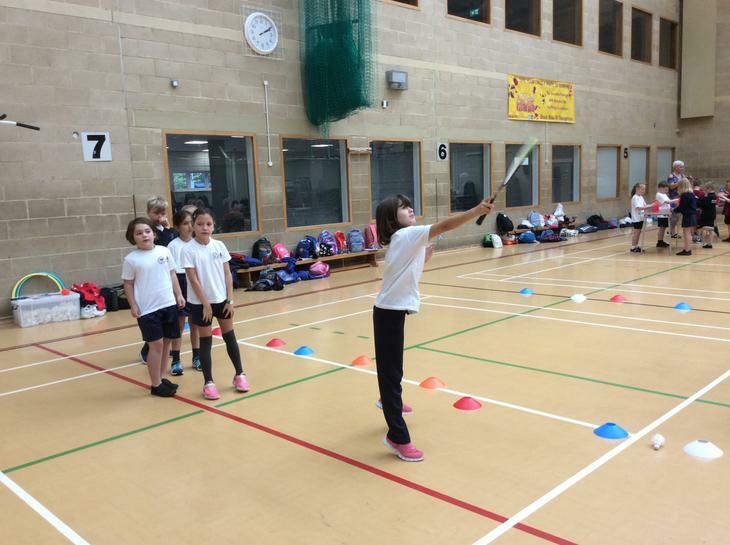 Winscombe and Sandford Primary enjoyed a fun-filled afternoon of alternative sports at the NSSPEA Primary Multi Skills event. 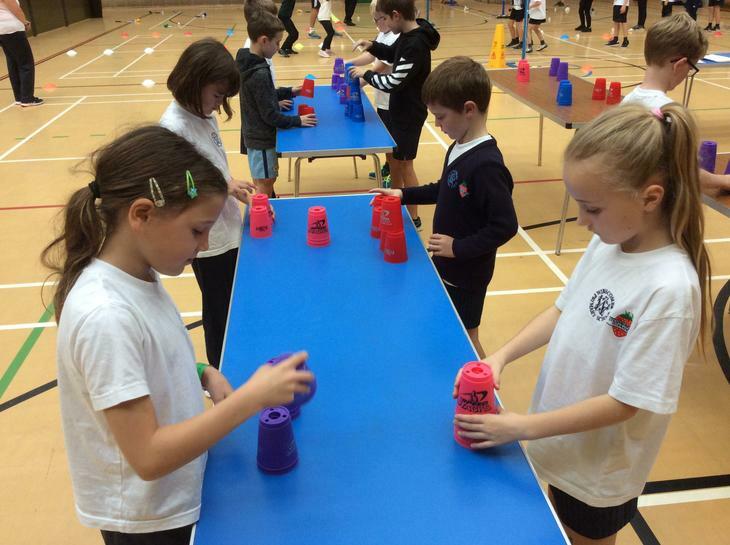 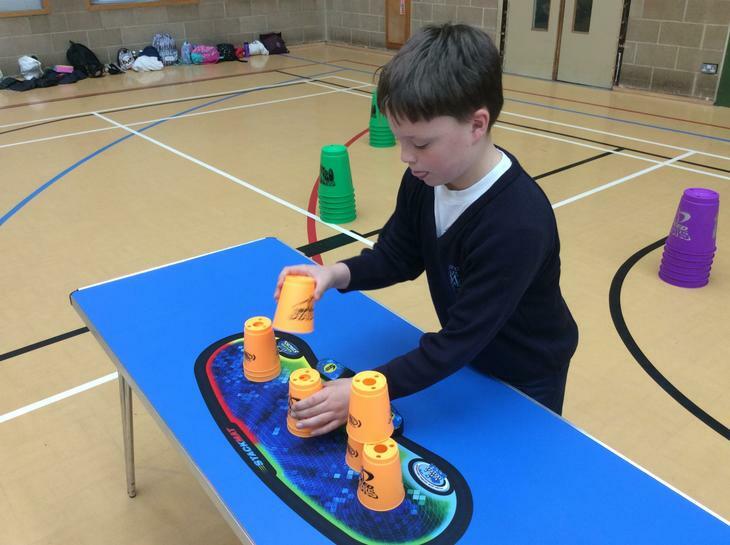 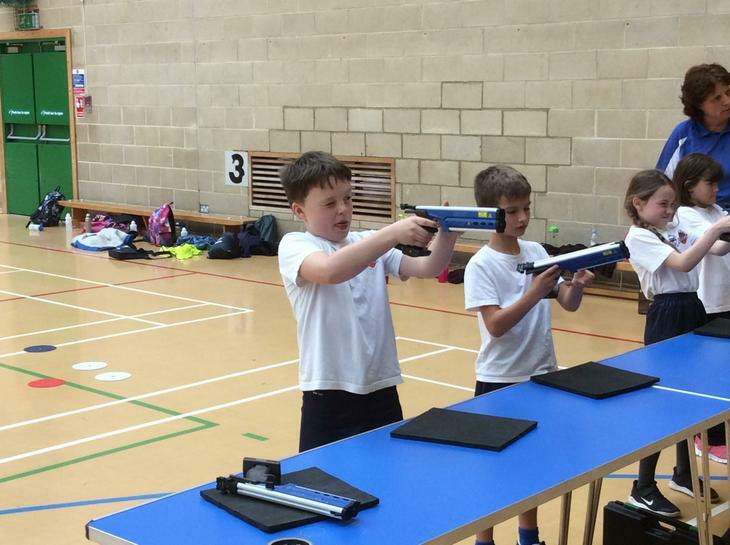 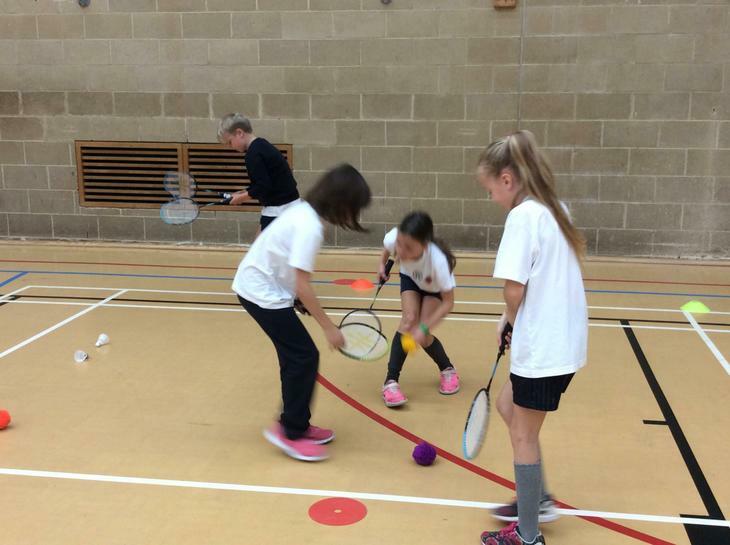 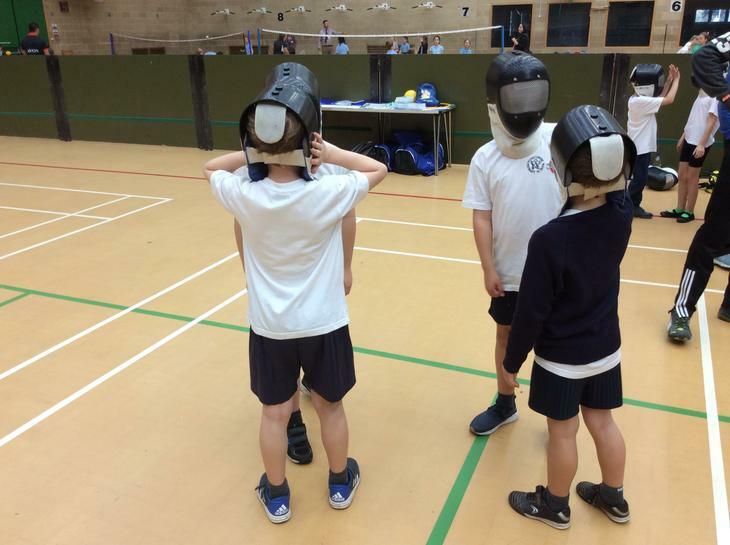 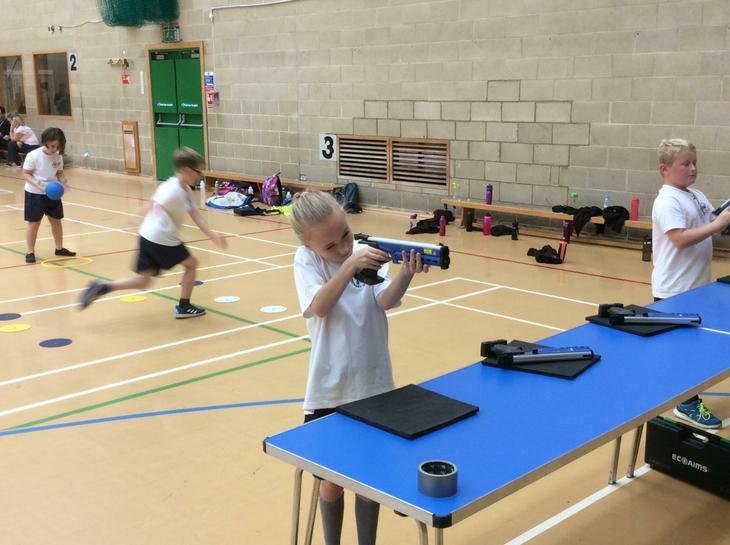 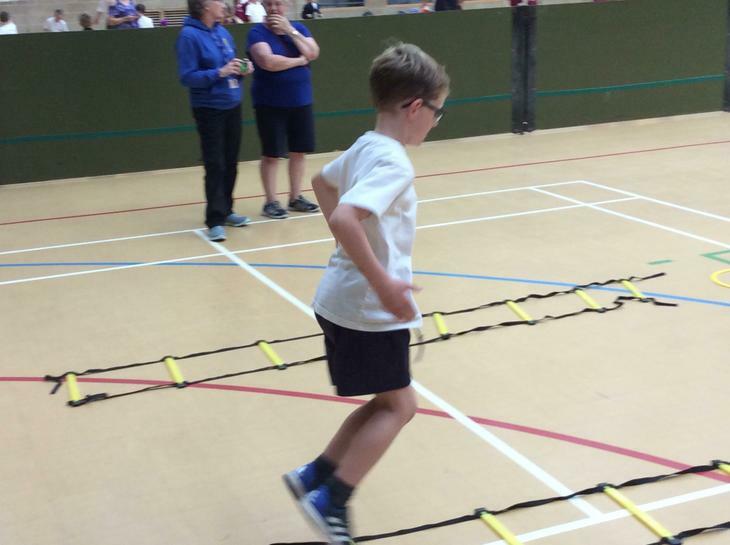 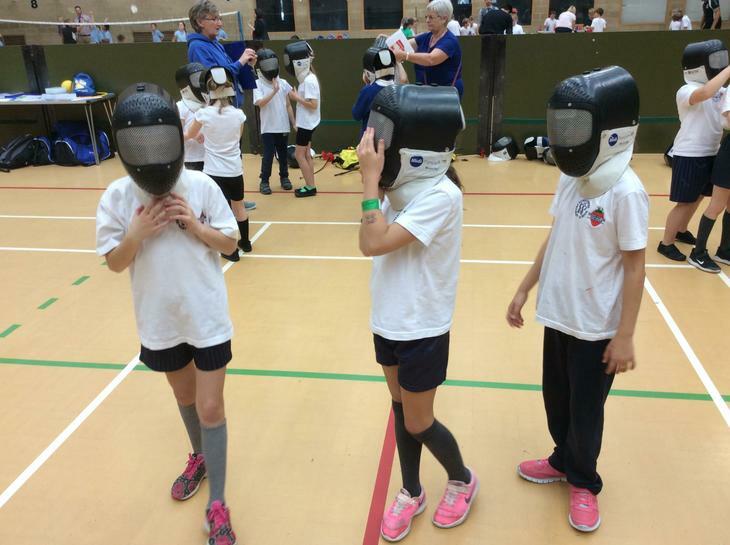 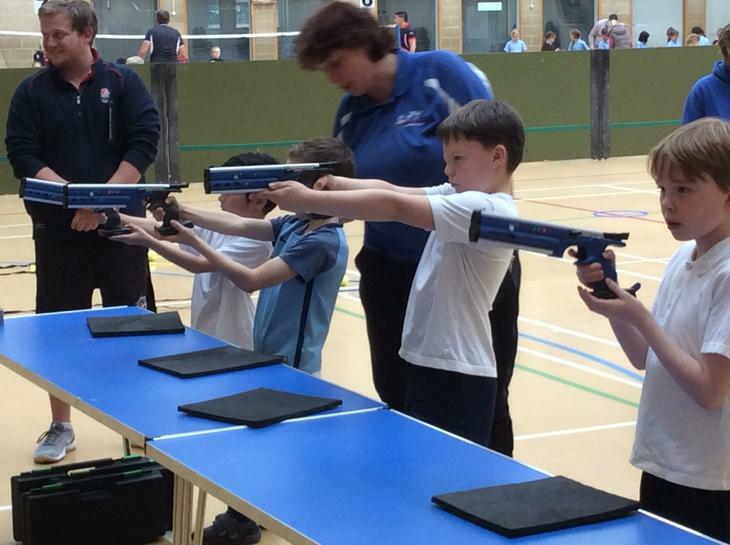 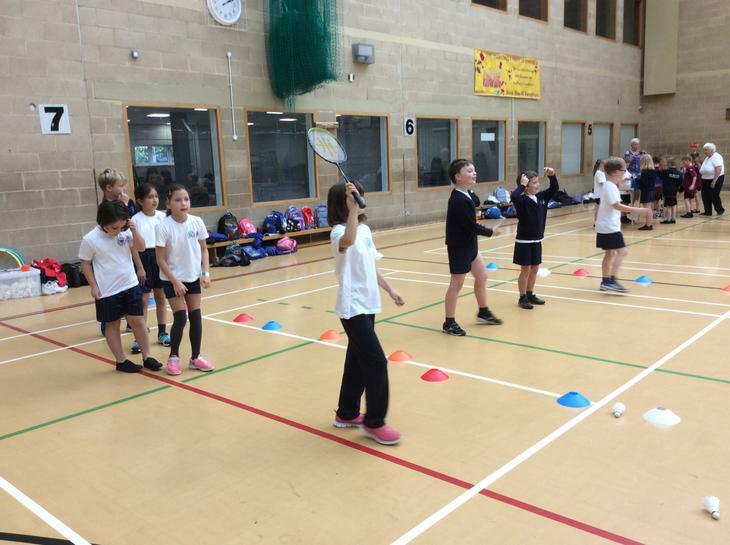 With activities including Stack cup, Badminton, Laser shooting, Obstacle course (agility) and Fencing, the children were left constantly enthralled by the variation of sports available. 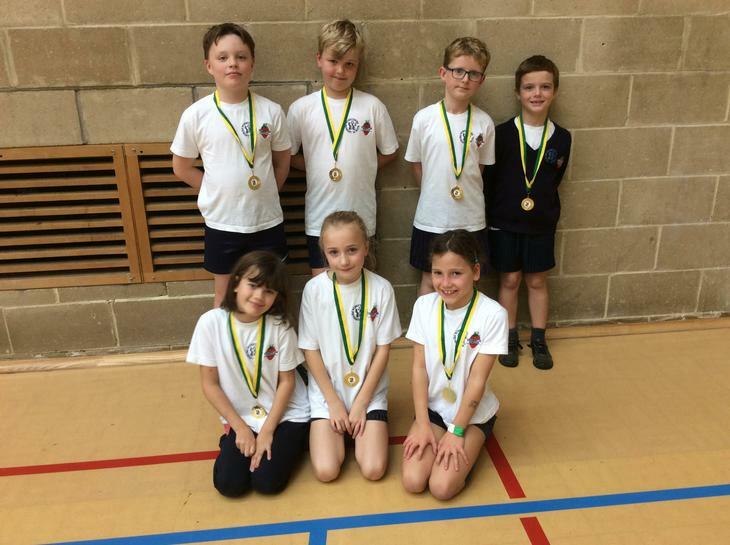 Congratulations to all involved as you were a credit to Winscombe with your effort and behaviour - Doug Cornick, Rhys Rogers, Haydn Blower, Charlie Potter, Imogen Weber, Olive Leaney, Evie Lewis. 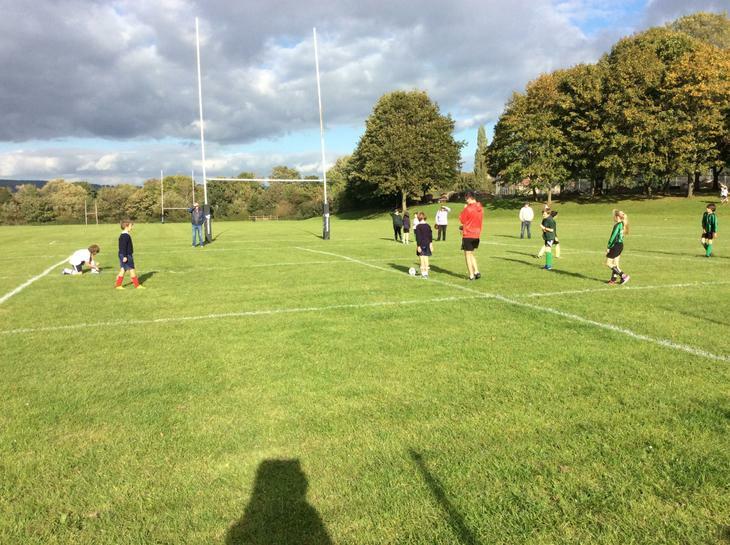 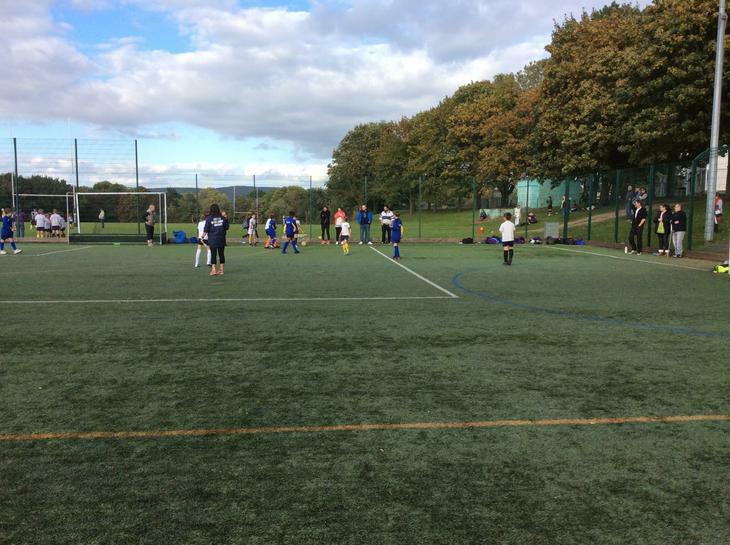 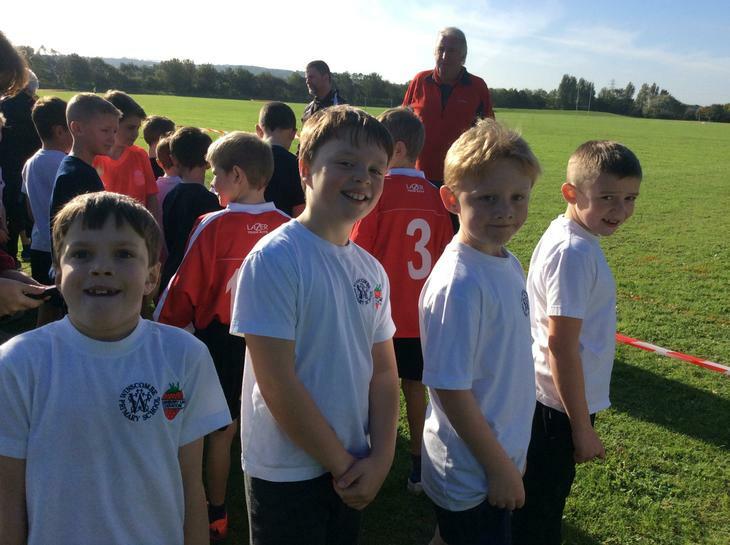 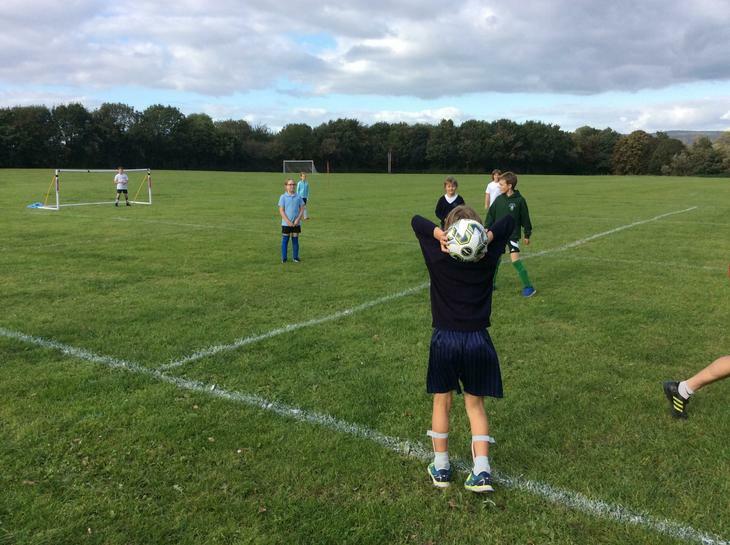 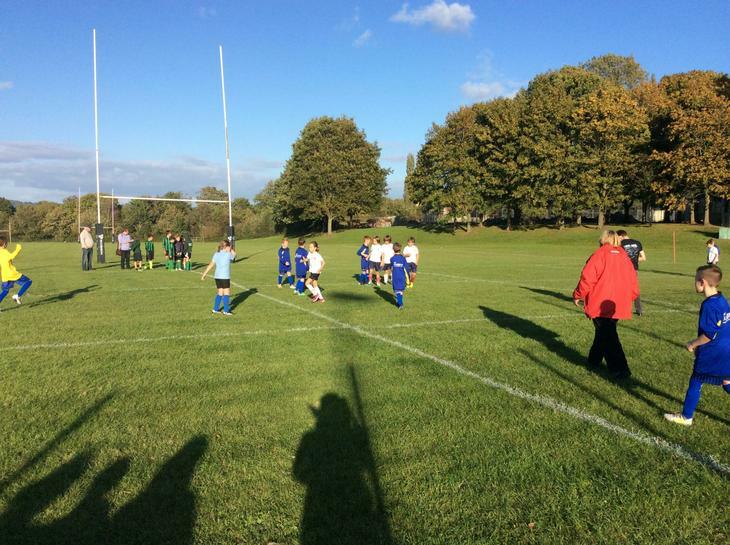 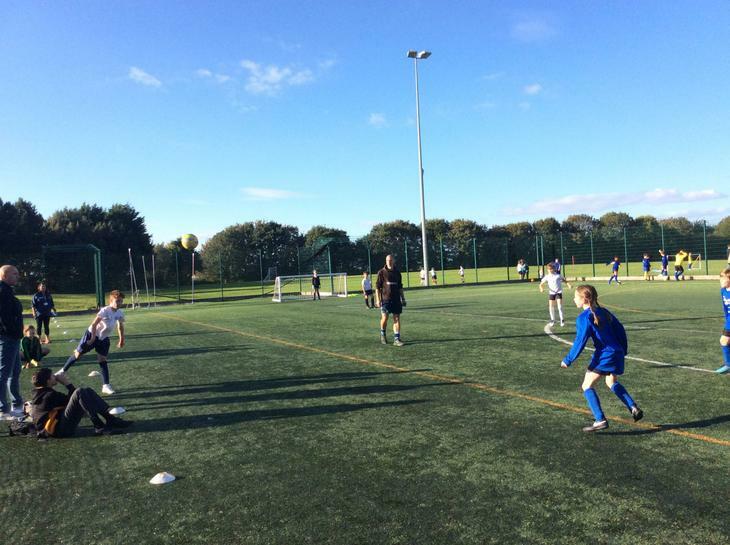 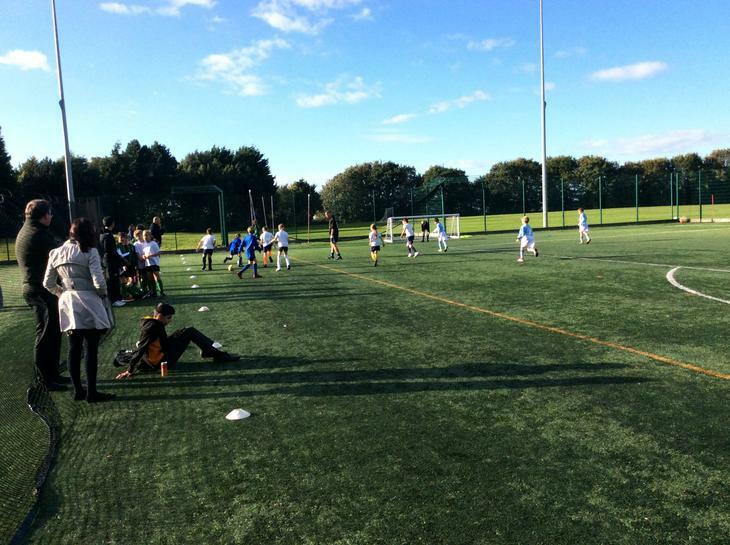 On Monday 1st October, Year 5 took part in the Cluster football event at Churchill. 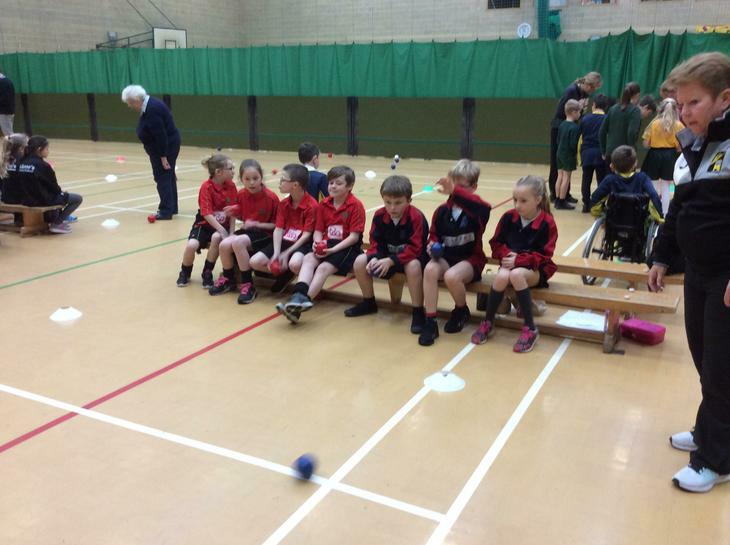 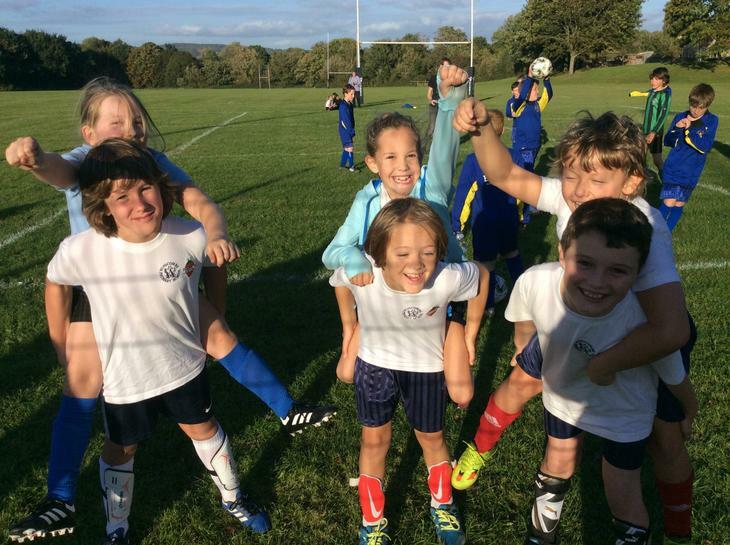 All the children enjoyed the event immensely and worked well together in both Team A a and Team B. 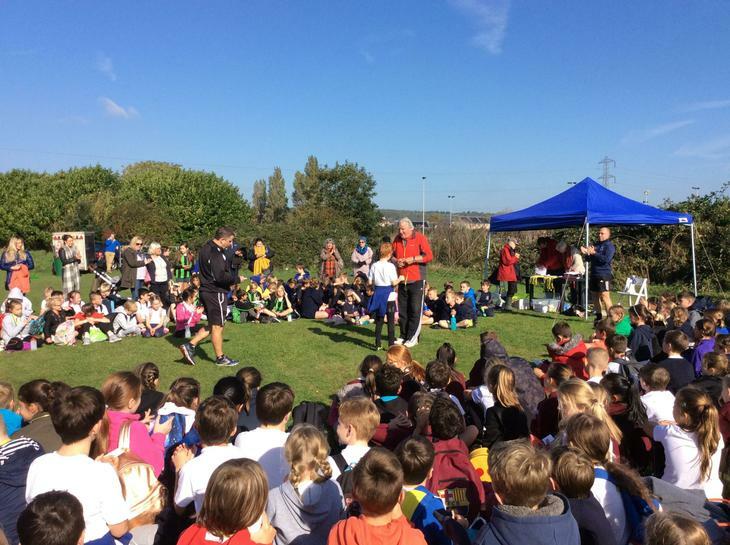 Well done to all those who took part and thank you to all staff and parents who came to support!